Each year consumers spend nearly $32 million in exorbitant overdraft fees to their banks and credit unions without fully understanding the way in which these fees work or how much they spend on each overdraft. Today, the Consumer Financial Protection Bureau reminded banks that using consumers’ lack of knowledge to collect more fees isn’t acceptable by imposing a $7.5 million fine against Regions Bank for unlawful overdraft practices. The CFPB fine, which marks the Bureau’s first action under a 2010 rule that protect consumers against illegal overdraft fees by their banks, stems from Regions’ practice of charging overdraft fees to consumers who had not opted-in for overdraft coverage and charging overdraft and non-sufficient funds fees on its deposit advance product despite claims that it would not. In addition to paying the $7.5 million CFPB fine, Regions must provide full refunds to consumers who were unlawfully charged overdraft fees. So far, the bank has already refunded approximately $49 million in fees to hundreds of thousands of customers. 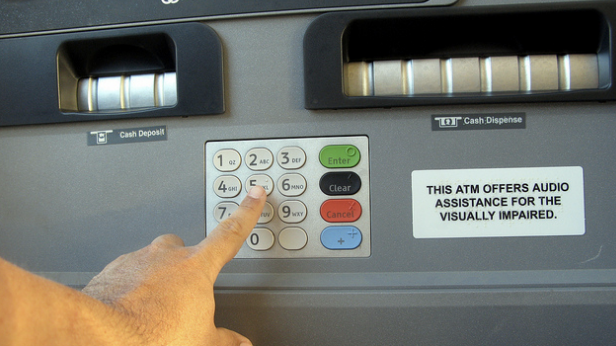 According to the CFPB consent order [PDF], Alabama-based Regions Bank violated a 2010 rule that prohibits banks and credit unions from charging overdraft fees on ATMs and debit card transactions unless customers specifically opt-in to the service. If a customer does not opt-in to enabling overdrafts, then banks must decline transactions if the accounts do not have enough money, without charging a fee. The CFPB says that Regions failed to provide an opt-in option for customers who linked their checking accounts to their savings accounts – a function that often allows an automatic transfer to cover a shortage in a consumer’s checking account. Despite not opting-in to the coverage, Regions charged these consumers a fee of up to $36 if a transfer was required to cover an overdraft. While Regions uncovered the violation of overdraft opt-in rules during an internal review, the CFPB found that the bank failed to stop the unauthorized charges for nearly a year. In addition to charging unauthorized fees on linked accounts, Regions misrepresented overdraft and non-sufficient funds fees related to its deposit advance product, the CFPB says. According to the CFPB, from November 2011 to August 2013, Regions charged customers $1.9 million in overdraft and non-sufficient funds fees to consumers with Regions Ready Advance. Those charges were incurred when the bank collected payment from the consumer’s checking account and the payment was higher than the amount available in the account. At that point the bank would either cover the transaction and charge an overdraft fee or reject its own transaction and charge a non-sufficient funds fee. Under the CFPB’s enforcement action, Regions is required to hire an independent consultant to identify any other customers who may have been charged illegal fees and correct any errors that could show up on consumers’ credit reports. Previous Should A Landlord Be Allowed To Repeatedly Offer Buyout Offers To Resistant Tenants?